Here in today’s post you will find the best pixie cuts of our favorite celebrities, browse our gallery below and get some inspiration to go with a new “pixie style”! Katy Perry has sported many different hairstyles and colors and this face-framing, messy pixie cut is one of them. 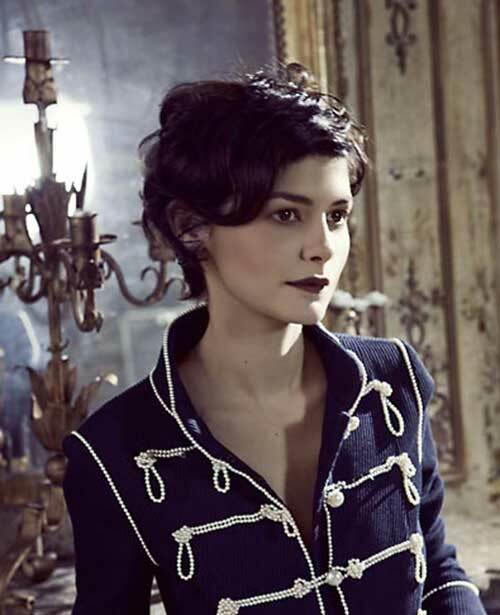 This short hairstyle with longer strands on her back and shaved sides looks rally unique. Wet look is a cool styling option for short hair especially for special events. 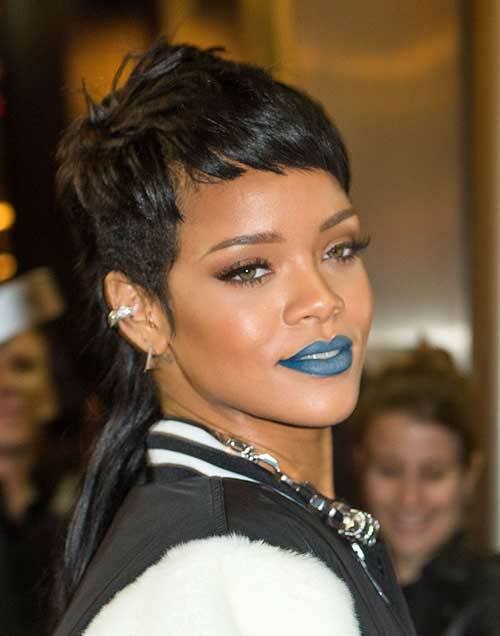 This short haircut with wispy bangs is definitely frames her face nicely and emphasize her facial features. Here is a short haircut with wet look for young girls and teens. Jennifer Lawrence’s asymmetrical pixie cut with long side swept bangs is one of the best looks of this season. Short hairstyles with side swept bangs and this auburn hair color emphasizes her eyes. Blonde hair color of Madonna and voluminous style will give a nice touch up to your style. Short bob hairstyle of Cate Blanchett is a really nice haircut for middle aged women. Here is a layered short haircuts with wispy bangs and stylish light brown hair color. 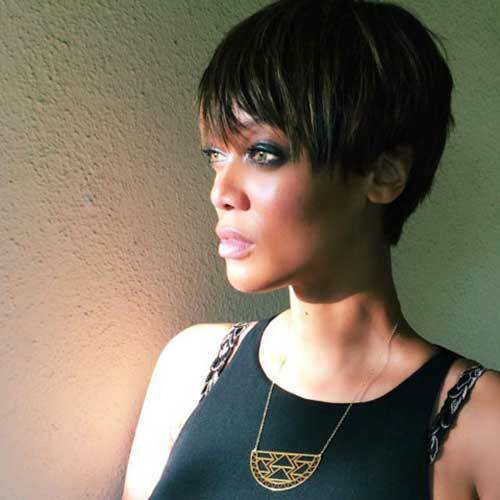 This short haircut with highlights and wispy long bangs would be a cool idea for black ladies. Wavy dark blonde bob hairstyle would be a perfect choice for mature ladies. 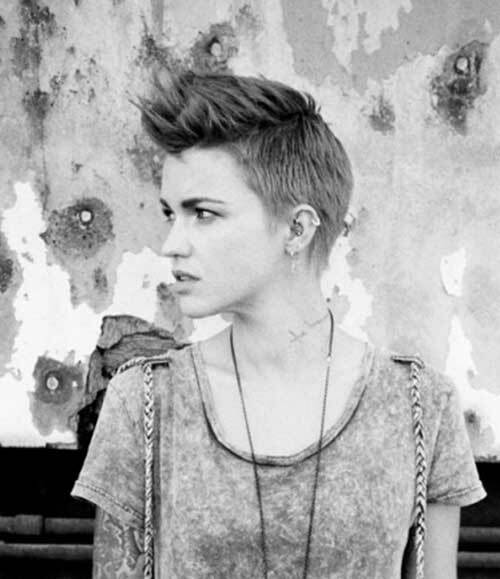 Ruby Rose’s short cropped haircut with spiky style would be sported by women with masculine style. 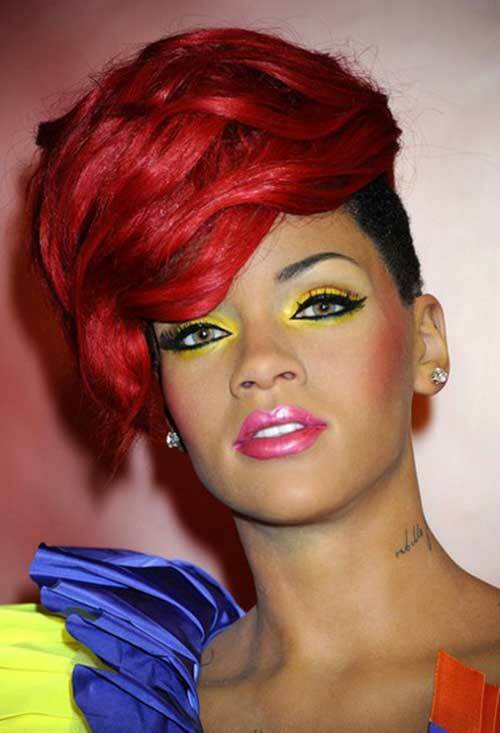 Here is an undercut style of Rihanna with bright red hair on top. Short haircut of Emma Watson was really popular hairstyle and nice inspiration for young women. Sleek straight side parted short bob haircut of Shaiene Woodley can be sported for special events.